August « 2012 « Dr Deborah Swallow – Global Cultural Diversity..
Today is the International Day for the Remembrance of Slave Trade and its Abolition. This date was chosen by UNESCO to mark a night in 1791 in the island of Saint Dominic (now Dominican Republic and Haiti) when a major uprising took place which significantly contributed to the abolition of the transatlantic slave trade. World Humanitarian Day is an annual, global celebration of people helping people. 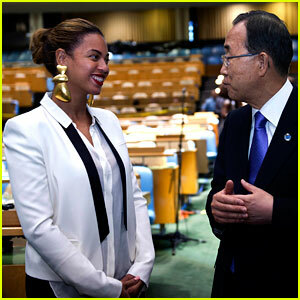 Beyonce performed for the UN in New York. Every year thousands of human aid workers help other people regardless of who they are and where they are. The lives of millions of people worldwide are threatened every day by natural disasters, gender-based conflict, political conflict, hunger, and migration. The global economic crisis has created an increasing number of problems such as poverty and a decline in global health. Hence, more and more humanitarian aid workers are needed across the globe. In addition, the total number of people affected by natural disasters is rising: approximately 211 million people are directly affected each year. Today’s date, August 19th, marks the day in 2003 when the United Nations headquarters in Baghdad was bombed and 22 members of UN staff died. World Humanitarian Day honors humanitarian causes and the lives that have been lost in the cause of duty. This year’s theme for World Humanitarian Day is ‘I was here.’ ‘I was here’ is an awareness campaign trying to promote everyone to do something good, to someone, somewhere. Pop star and icon Beyonce performed a song “I was here” at the UN headquarters in New York last Saturday, the 11th, to honour World Humanitarian Day. A music video has been made of the event and the performance will be aired today. The goal of this year’s World Humanitarian Day is to get 1 billion people visit the online site, watch the music video, and learn more about World Humanitarian Day campaign. Young people are the generation of change. The age group which the United Nations defines as youth, 15-25 –year-olds, makes up for one sixth of the world’s population, the largest youth generation the world has ever known. Young people worldwide face high rates of unemployment, vulnerable working conditions, and marginalization from decision-making processes. 85% of the world’s youth live in developing countries. The main purpose of International Youth Day is the promote the rights and abilities of young people around the world. 1985 was the first International Year of Youth. Ten years later, in 1995, the United Nations adopted an official set of policy guidelines, World Programme of Action for Youth, for nations and NGOs to improve the living, working, and social conditions of youth. 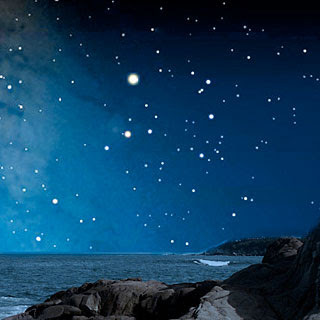 Krishna is always the centre of Janmashatami, but the day is celebrated differently across India. Around Mumbai, in the state of Maharashtra, it’s common to celebrate with a sport called Dahi Handi. In Dahi Handi, a handi, a clay pot filled with buttermilk, is first hung to a high location. A group of men then forms a human pyramid beneath the handi, and the topmost person in the pyramid tries to break the claypot. As buttermilk from the broken handi drips down the human pyramid it symbolizes unity.